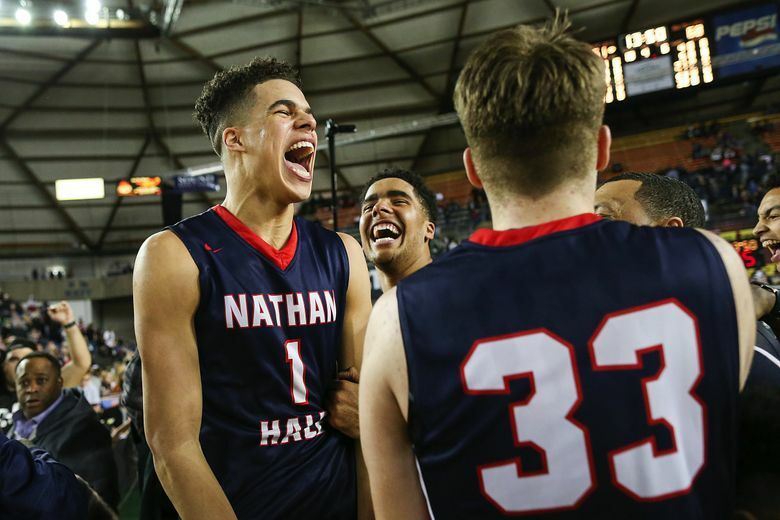 Michael Porter Jr. had 27 points and 17 rebounds as the Raiders won their first state basketball title by beating Metro League rival Garfield 68-51. 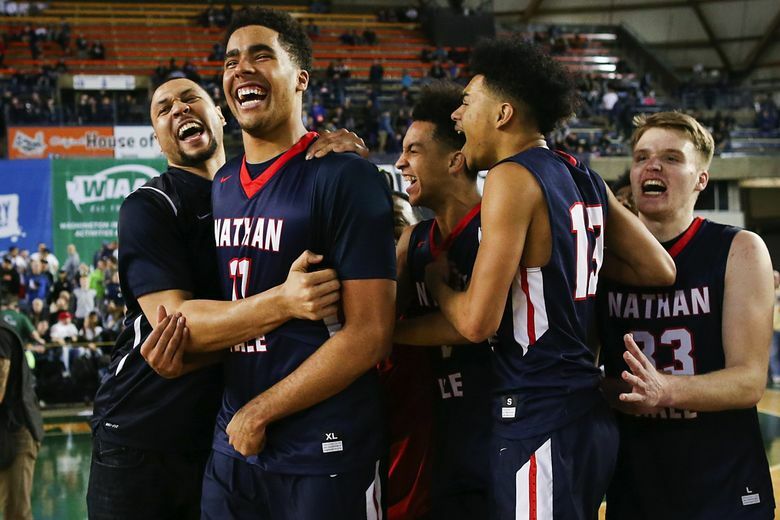 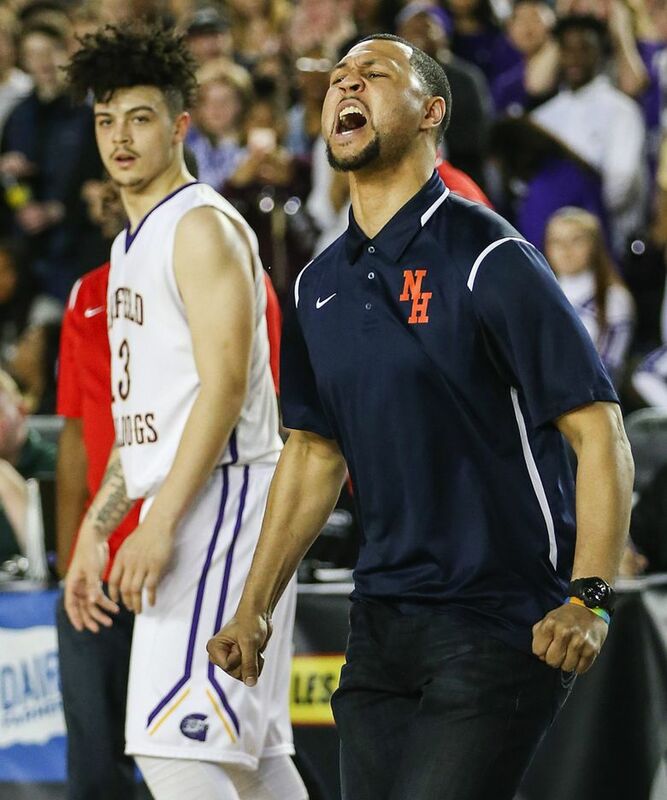 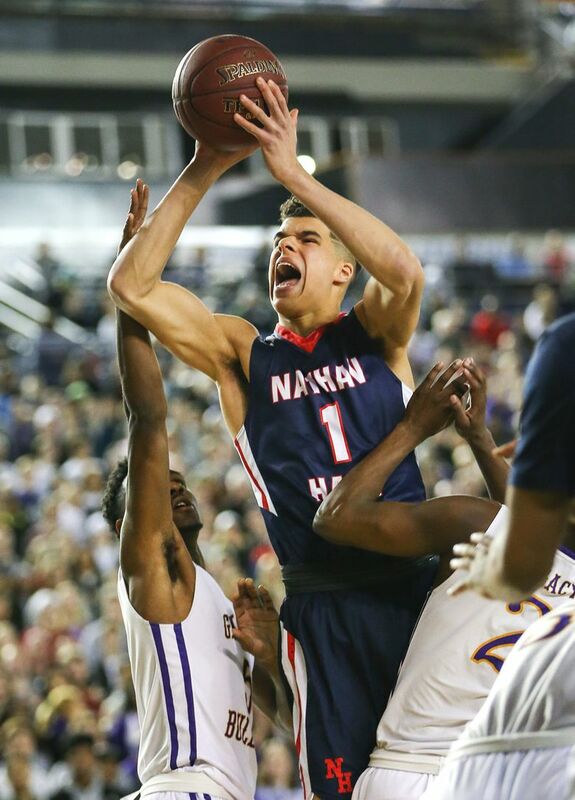 TACOMA — Put a stamp on it were the sage words Nathan Hale coach Brandon Roy shared with his team before the Class 3A boys state championship game Saturday. 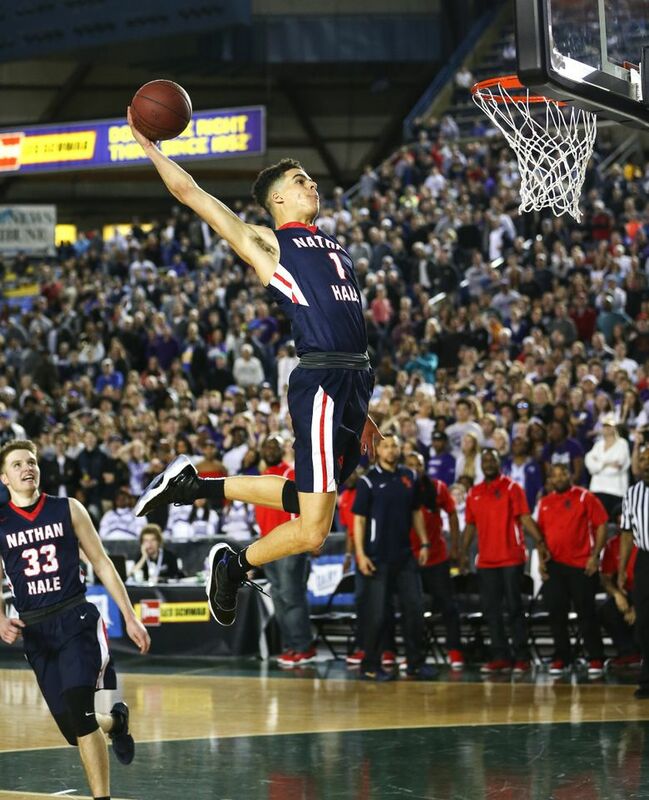 Michael Porter Jr. took it literally. 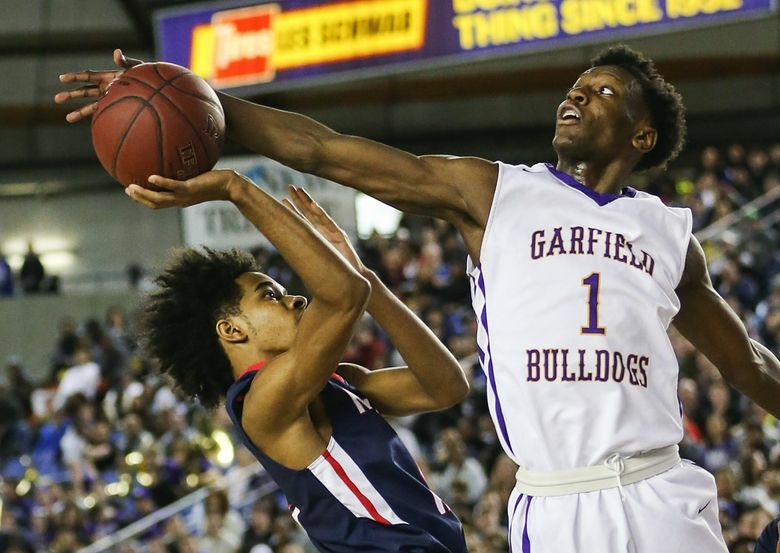 Alone with the ball and the Raiders way ahead, the 6-foot-9 senior bounced the ball off the Tacoma Dome backboard and slammed home a booming dunk to close out a 68-51 win against second-seeded Garfield (23-6). 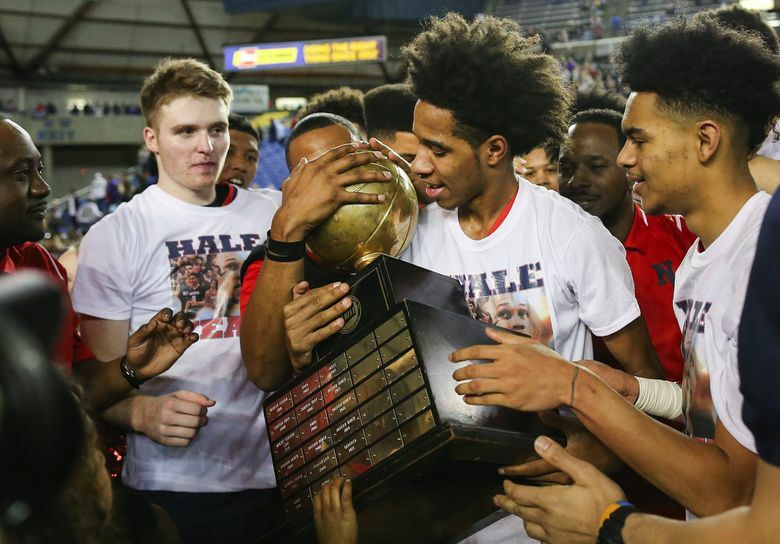 The title capped an undefeated season (29-0), in which Hale and Porter rose to be considered the top team in the country and definitely the state. 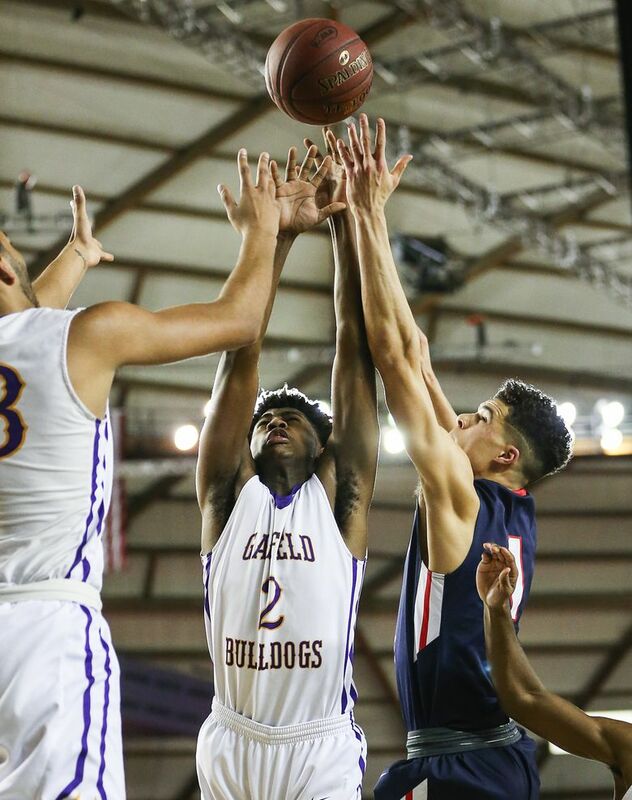 Garfield led 29-26 at the break after senior Jaylen Nowell’s jumper in the paint with 48 seconds left. 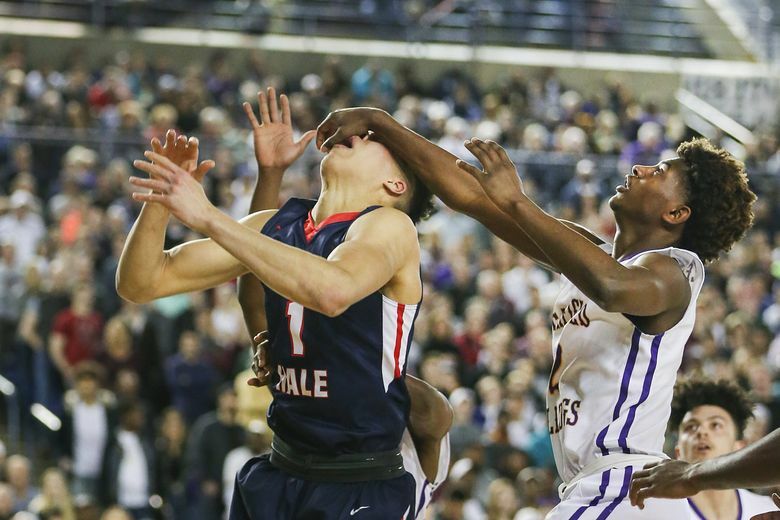 There were nine lead changes in the half and four ties. 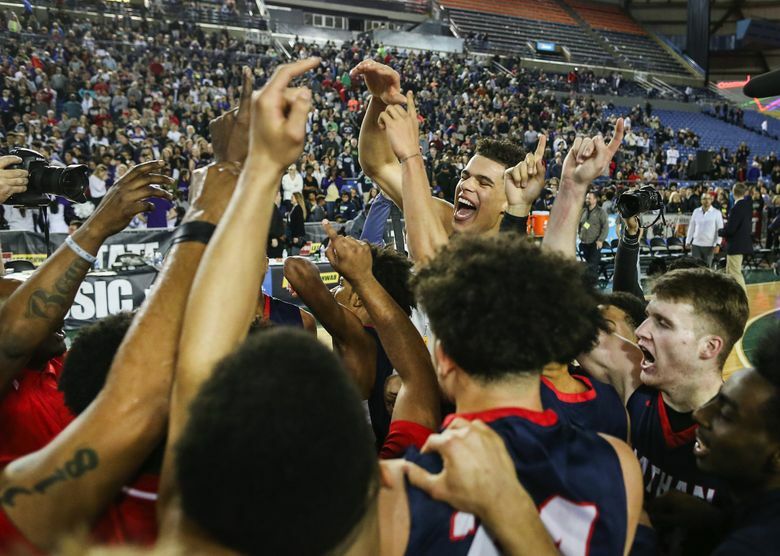 Raiders players admitted to being overwhelmed by the tournament atmosphere. 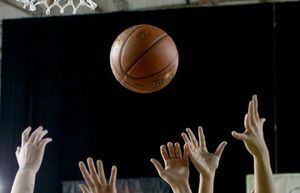 The team has traveled across the country for games and played on ESPN. 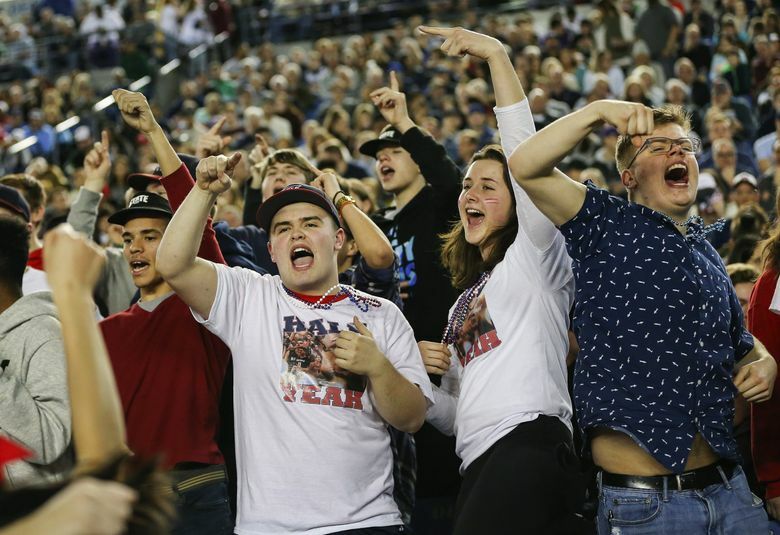 But the Dome, a venue for everything from state football to Monster Truck Jams, was the largest crowd. 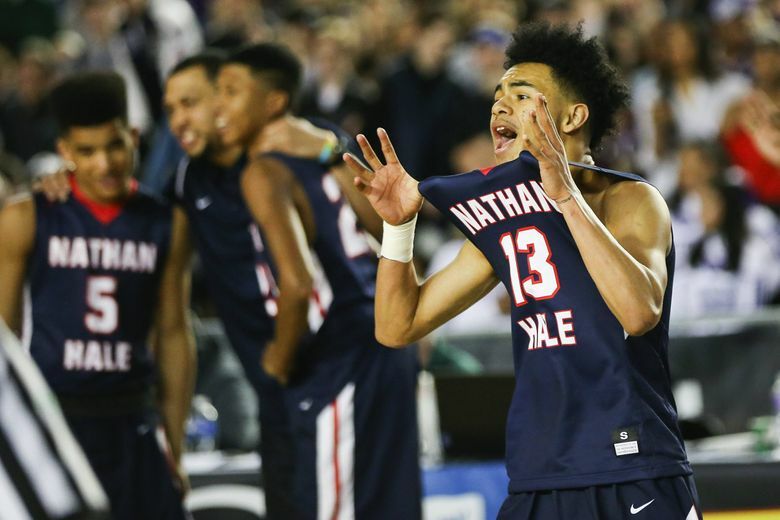 Nathan Hale took control of the game in the third quarter, opening the period with a three-pointer by senior Keegan Crosby. 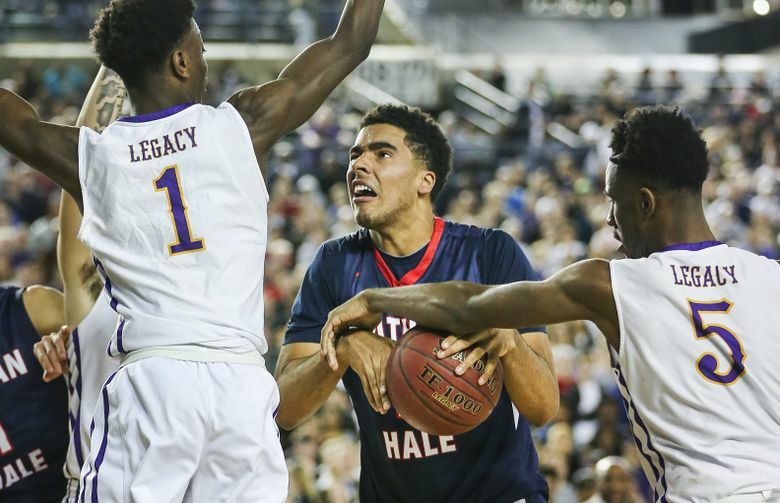 Porter Jr. had the go-ahead bucket, a three-pointer with 6:12 on the clock to make the score 32-31. 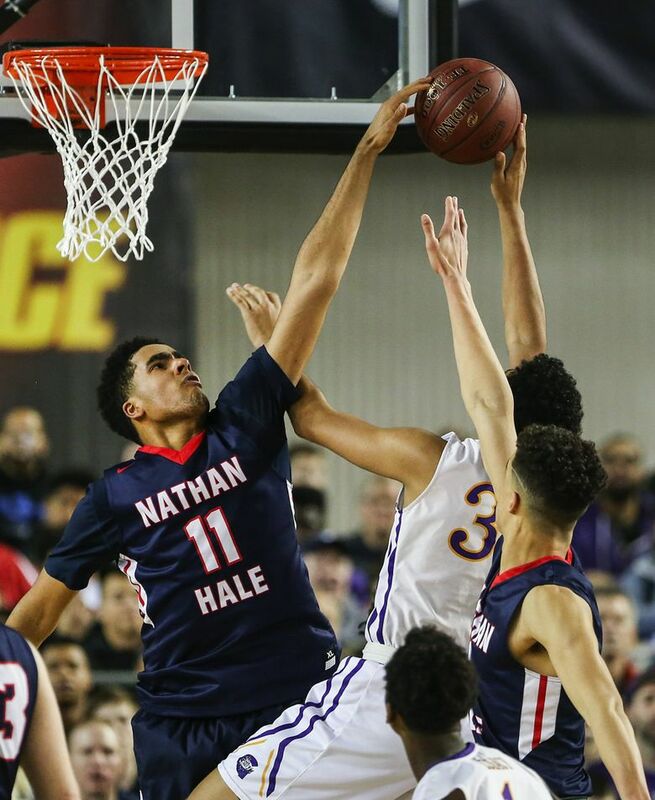 The McDonald’s All-American followed it with two destructive blocks. 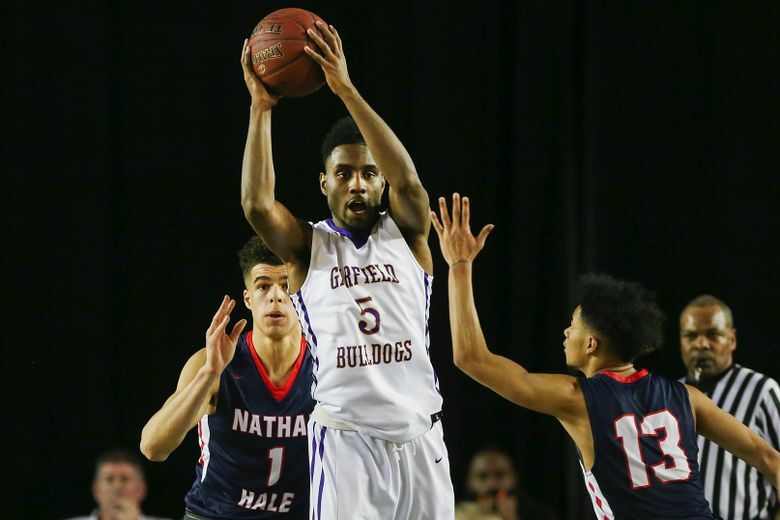 The first was over Bulldogs guard Curtis Walker where Porter stuffed the ball and Walker into the court. 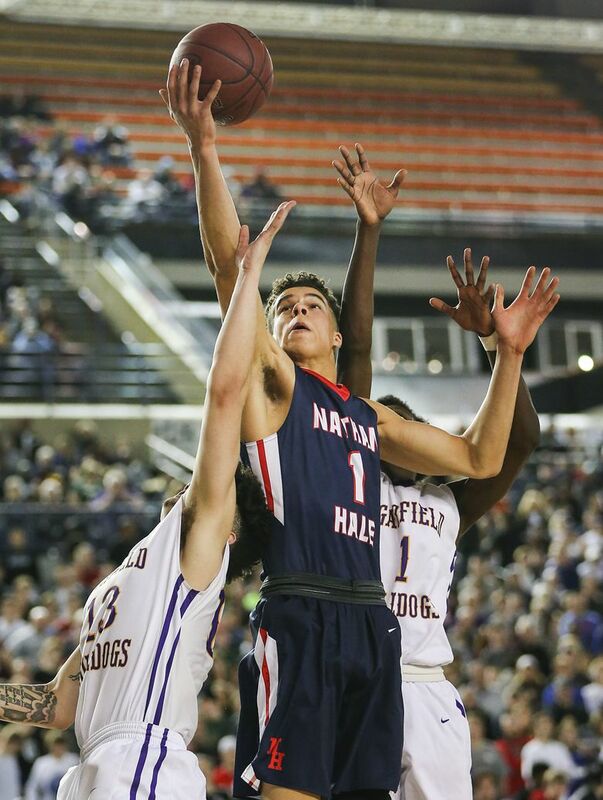 The second was at the rim, smacking the ball into Tacoma Dome’s northwest stands. 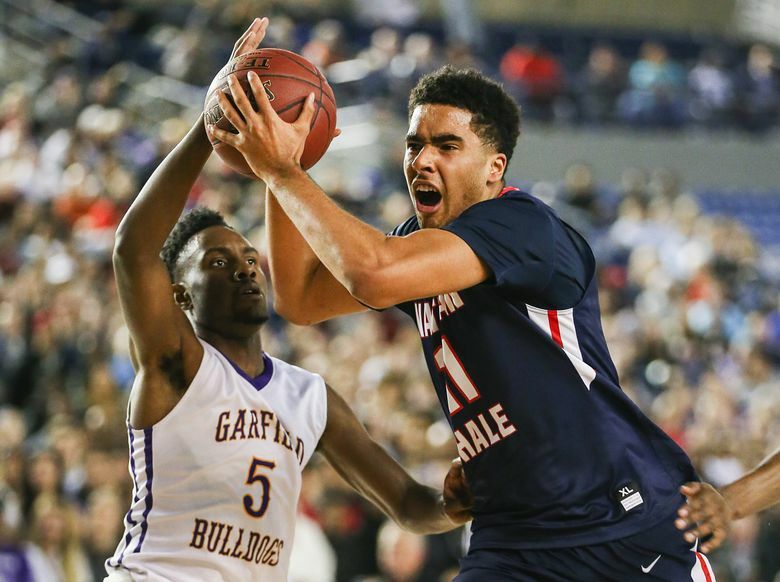 Nathan Hale outscored Garfield 23-11 in the third. 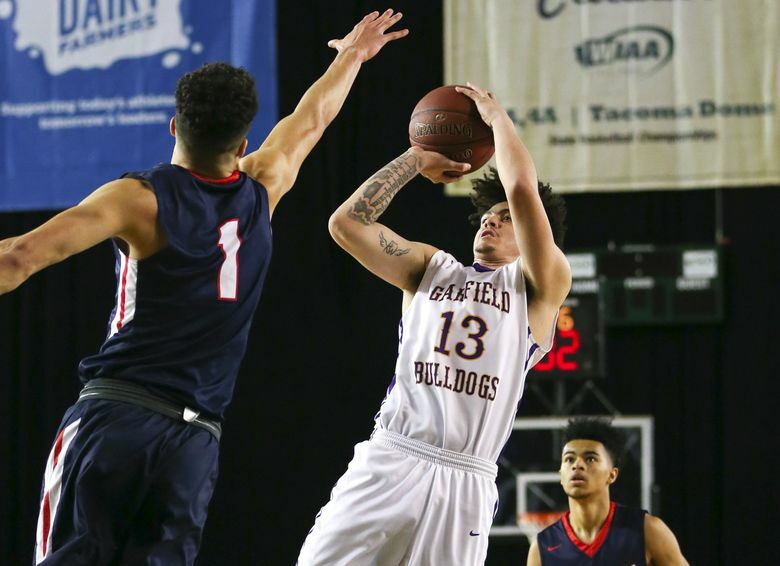 The Bulldogs, who lost to their Metro League rival for the fourth time, couldn’t recover. 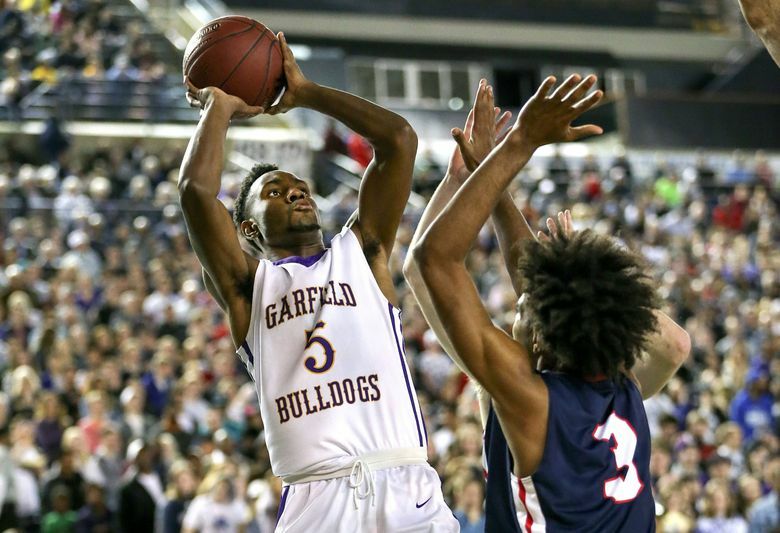 Garfield senior J’Raan Brooks led the Bulldogs with 15 points. 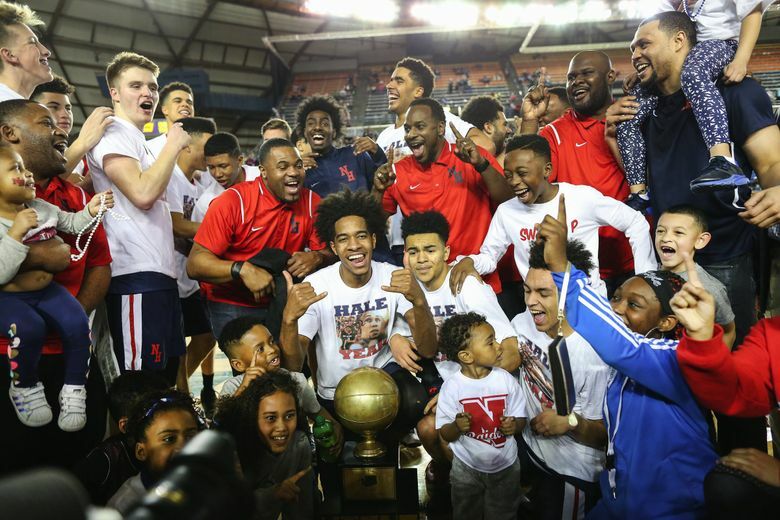 Nathan Hale, which was 3-18 last season, made its first state appearance since 1994 when it placed fourth. 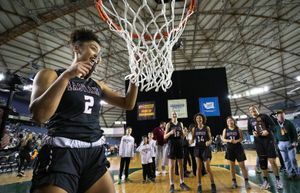 According to the Washington Interscholastic Activities Association (WIAA) website, the school has only won four titles — boys soccer (1985), girls track and field (1971), boys gymnastics (1970) and boys cross-country (1967). 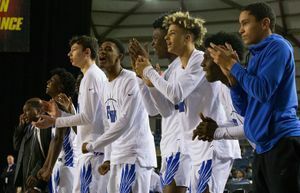 The title was practically expected once word broke in May that Porter and his family, including brother Coban, a freshman, would be relocating from Missouri. 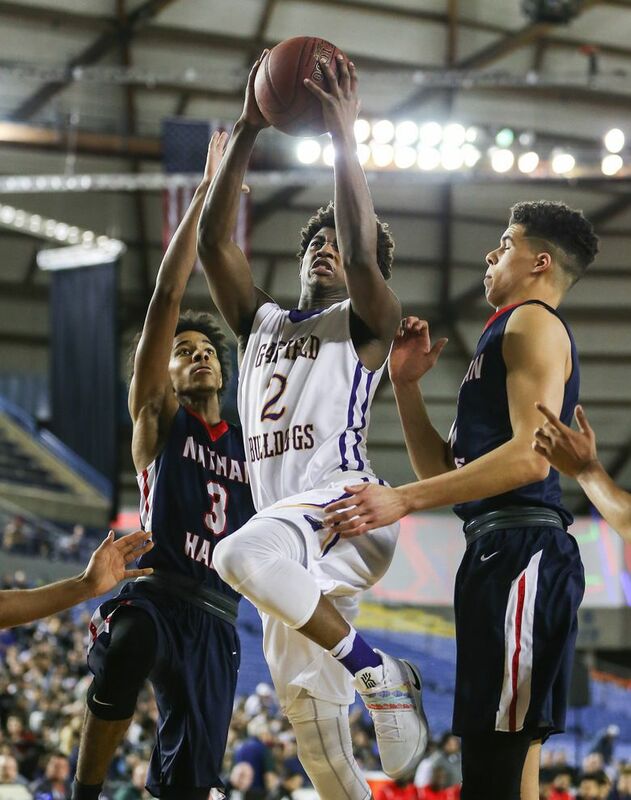 Their father took an assistant-coaching position at the University of Washington, Porter Jr. and Jontay committed to the school over the summer. 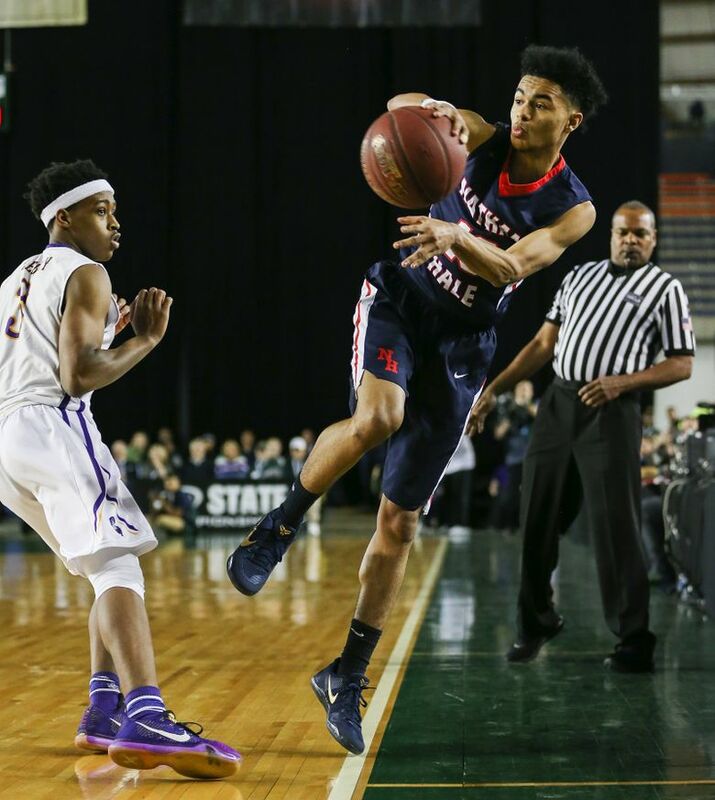 By August, Nathan Hale was stocked with the state’s best talent as four other players transferred to the school. 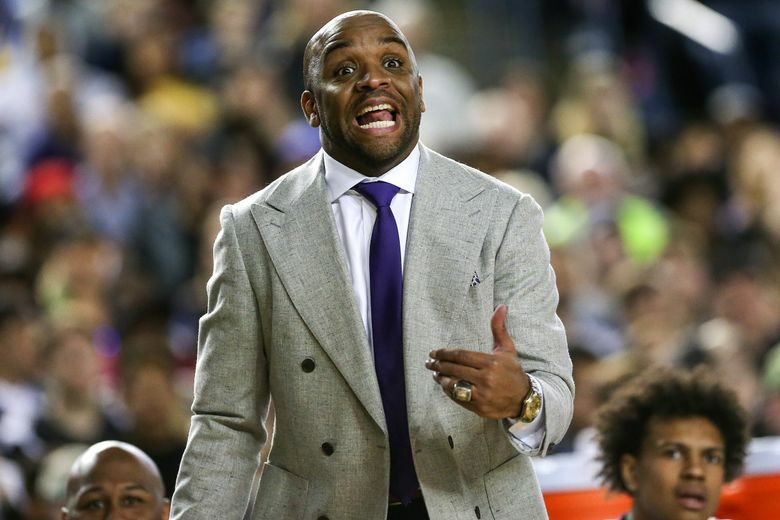 Roy, a former Washington and Garfield star, was named coach in June. 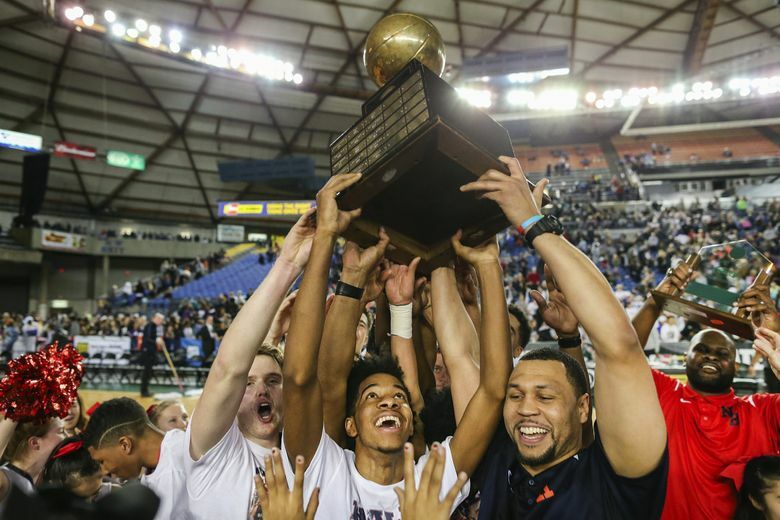 It’s the Porter brothers’ second high-school title. 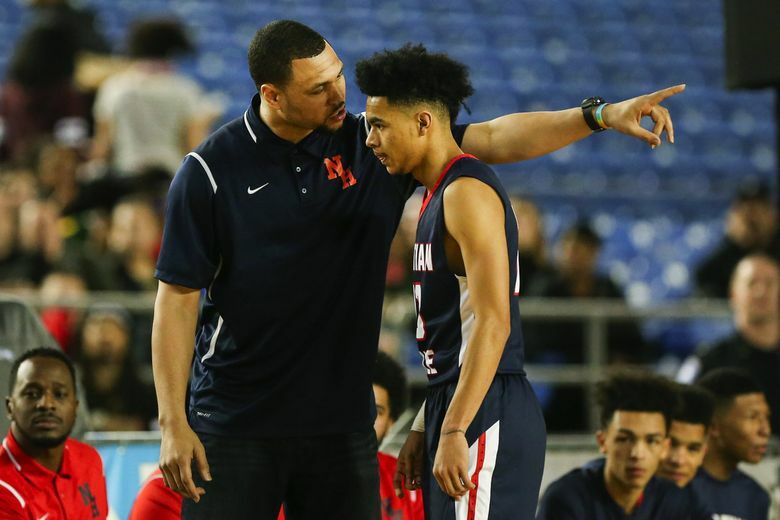 Michael and Jontay led Tolton Catholic High to Missouri’s Class 3 championship last year. 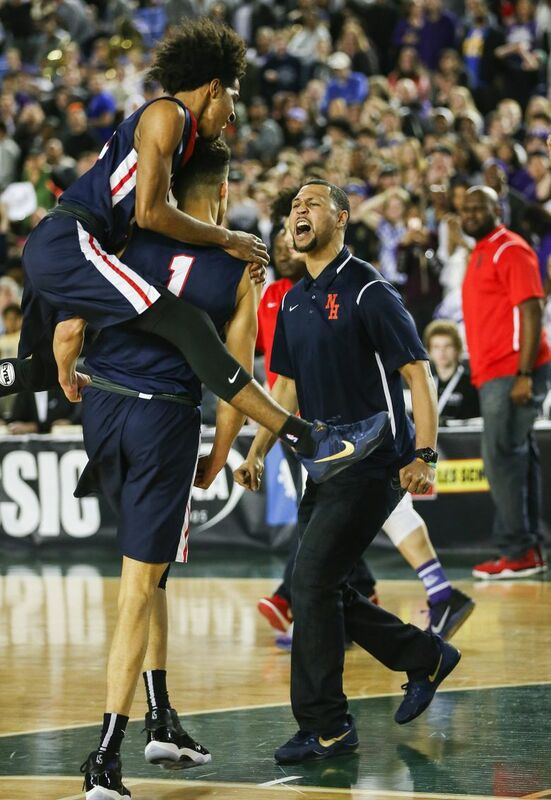 “It feels just as good,” Michael said.